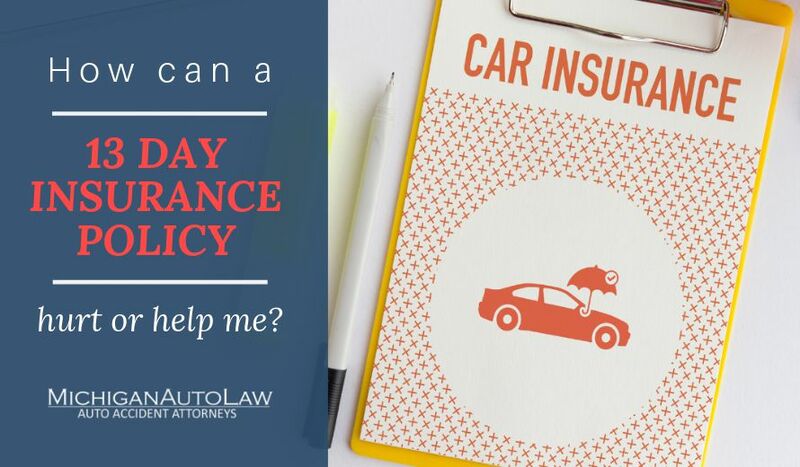 In my last blog, I discussed how difficult it is to get Farm Bureau adjusters to give permission to accept tendered underinsured motorist coverage (UIM) policy limits for their own customers who have been seriously injured in car accidents. In other words, how hard it is to just get the additional protection that these people paid for from this insurance company! And speaking of games and broken promises, here’s another one from a recent case. It’s truly sad to see that Farm Bureau also is responsible for probably the most anti-consumer change that I’ve ever seen a Michigan auto insurance company pull on its own customers. Farm Bureau shortened the normal three-year period to bring a UIM lawsuit to only one year. Let me repeat this: Farm Bureau cut two years from the period its customers are allowed to bring a lawsuit following an auto accident, forcing them to bring the lawsuit within one year in order to receive UIM coverage. Farm Bureau made this change by shortening the contractual period to file a lawsuit for its own customers who had purchased important UIM and UM coverage. This change caused countless Farm Bureau customers to lose important UM and UIM insurance protection that they had purchased in good faith from Farm Bureau. I should note this change was so anti-consumer that the Michigan Office of Financial and Insurance Regulation later issued an order prohibiting auto insurance companies, including Farm Bureau, from shortening the statute of limitations from three years to one year for UIM coverage. Why would Farm Bureau do this to it’s own customers? There was no legal or moral justification whatsoever for this, and no reason given for why Farm Bureau decided to do this to its customers. The only reasonable explanation was that Farm Bureau just decided to try to weasel out of paying valid UIM and UM insurance claims that it was otherwise legally obligated to pay for – and note that these insurance coverages would only apply to its own most seriously injured customers who had already been hurt in car accidents. Sadly, a recent Michigan Court of Appeals case released on April 29,2010 called Ulrich v. Farm Bureau Insurance even reaffirmed that Farm Bureau could still avoid paying a valid UIM insurance claim to a customer who had been seriously injured in an accident on a policy that had been shortened to one year, because her car accident came before the OFIS order prohibiting shortened statute of limitations coverages. Farm Bureau’s shortened one-year provision to bring a lawsuit was therefore valid. The customer got nothing. Here’s what happened: The state of Michigan was so concerned by what Farm Bureau was doing that it had issued Order No. 05-060-M, making it illegal for Farm Bureau and other Michigan insurance companies to do this. However, that didn’t help Linda Ulrich, who had already purchased her Farm Bureau insurance policy with its one-year statute of limitation when she was seriously injured in a car accident. Because her car accident occurred before the order was issued, the contractually shortened period of limitations to bring a lawsuit in her Farm Bureau policy still applied. Linda Ulrich lost her right to sue for her personal injuries from her own insurance company on a policy that she had already paid for, and had been paying for, for many years. Way to go, Farm Bureau, for sticking it to a loyal, long-term customer and choosing to still apply a contract change that was so anti-consumer that the insurance commissioner required you to change it. You are the winner of my Insurance Company Skunk Award. My blog post from last year on Michigan’s 10 Worst Insurance Companies has been very popular. In the near future, I’m going to post another listing the worst insurance companies for 2009. Sadly, Farm Bureau’s conduct is all too common in Michigan.